This month a new round of Creative People and Places funding opens. We will be allocating £24 million for this new programme of funding between 2019-2023 to places identified as the 'least engaged' in arts and culture across England, according to the Active Lives survey November 2015 to May 2017. Now open for applications This is a two-year rolling programme, so you can apply at any time for funding between £1,000-£5,000. Arts, cultural and creative organisations will receive lower interest rates if they can demonstrate positive social impact. ACE has just opened the second round of our Developing your Creative Practice fund. There was strong competition for funds in round one so Cate Canniffe, its Director of Dance and London, has some advice for those applying this time round. Whether you’ve already made an unsuccessful application and want to reapply, or if this is your first time, here are Cate’s top tips for making a successful DYCP application. The Churchill Fellowship has opened for applications from today. A Churchill Fellowship funds people to travel for 4-8 weeks abroad, researching a topic of their own choice that can make a difference to their profession or community when they come home. Wellcome’s Public Engagement Fund is reopening on 5 March after being closed briefly. We've changed elements of how we're going to run the scheme and what we're looking for. In particular, we want applicants to be clearer about the change they are going to make in the world. Welcome to our 2018 Anniversary website celebrating 60 years of grant-making to charities across the UK, totalling over £1billion. This report explains why the Baring Foundation has been funding arts and older people activity and describes what we have funded for the first eight years of our grant making. 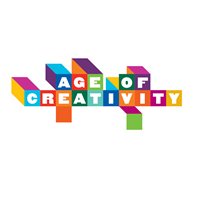 We are aware that we are just one piece of the jigsaw in a much broader picture of creative ageing. There are now 11.6 million people aged 65 or over in the UK, of which 1.5 million people are aged 85 or over*. Over a 4 year period beginning in 2010, The Winston Churchill Memorial Trust collaborated with the Baring Foundation to fund 47 Churchill Fellowships in a programme entitled 'Creative Ageing', examining the belief that the arts can play a positive role in older people's lives, including those with dementia. In recent years there have been many exciting developments in this burgeoning field. This report brings together some of the findings from the Churchill Fellows' international, experiential research projects, particularly concentrating on the work around the arts and dementia. This is a good read for people wanting to know what the Baring Foundation is up to. Raise £2,000 and AHSW will match it Three selected organisations are being challenged to raise £2,000 via individual giving, which Arts & Health SW will match with a £2,000 Catalyst Fund. This means that organisations taking part have an opportunity to raise up to £4,000, for whatever they choose (core work, ie general organisation costs and project work are both eligible). Applications open on AHSW's website: 23 November. Information session and Q&A at AHSW annual conference: 24 November. Deadline for applications: 31 January 2018. The 'Celebrating Age' programme is all about supporting cultural spaces and other organisations to be open, positive and welcoming places for older people; and taking arts and culture into places where older people will find it easier to engage. 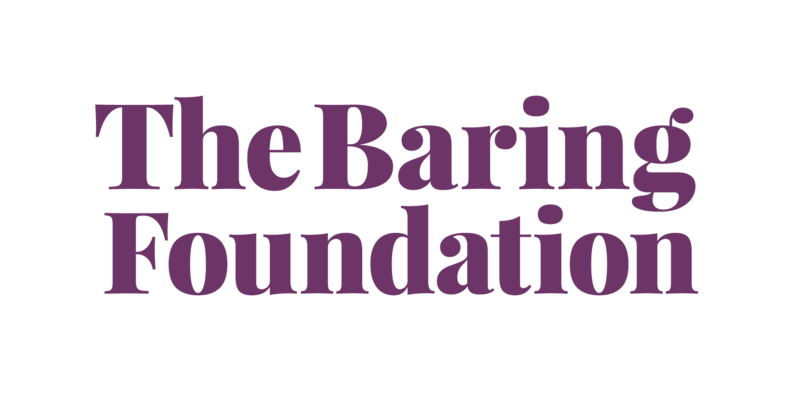 Arts Council England is delighted to have joined up with the Baring Foundation to provide this fund. Celebrating Age is a joint Arts Council England/Baring Foundation fund, which supports partnerships between arts and older people’s organisations. The King’s Fund,Comic Relief and the Big Lottery Fund have opened the application process for a unique support programme enabling charity leaders to help each other through sharing expertise and developing skills. Following a successful pilot, The King’s Fund, Comic Relief and the Big Lottery Fund have agreed to support the roll-out of the Cascading Leadership programme so that more charities can benefit. The Big Lottery Fund is investing £175,000 of National Lottery funding alongside £75,000 from Comic Relief. ACE Arts and Communities Programme report The report showcases activities delivered through the Arts and Communities programme and considers what can be learnt from the variety of approaches. The report considers the significance of local authorities in the delivery of arts and cultural programmes and includes a series of case studies, tips and guidance to support the development of future programmes working to achieve similar aims. The grants are intended to support registered charities working in: •	Education •	Poverty relief •	Recreation •	Social welfare •	Suppoprt of older people and disadvantaged people Previous grants have been for between £500 and £1000,000. The Hobson Charity Limited does not maintain a website. Groups should write to the Trust for further information on how to apply. ARTS COUNCIL - Prosper Business Support - Applications Are Open! Funded by Arts Council England, Prosper is a new business support programme for the arts, museums and libraries. Prosper will offer organisations and individual entrepreneurs the opportunity to participate in nine months of free, dynamic and impactful business support activities. To be eligible organisations must be based in England and operate in the creative or cultural sectors; furthermore museums must be fully accredited and libraries must be publicly funded. Grants of up to £2,000 to not for profit organisations with a turnover of less than £300,000 a year who work to reduce the disadvantage of the most deprived people in the community such as the disabled, those living in poverty, voluntary carers and isolated older people. The Foundation are more likely to make grants to local organisations based near Greggs shops. “What is the quality of life if it is devoid and deprived of culture, arts, libraries, museums and archaeology—the very things that open our minds and give us reasons to learn and live? Yet this is exactly what some local authorities and funders are having to face: difficult choices, creating a concept of basic services that will be supported and others which will not. I do not accept that concept.” Lord Cashman. We invest in art and culture for a lasting return. We're looking for organisations, artists, events, initiatives and others to apply for our funding and help us achieve our mission of great art and culture for everyone. Use our funding finder if you're interested in applying for funding. Welcome to our funding finder. Browse our funding programmes and take a closer look at key information, including key dates and eligibility criteria. The aim of the project was to captures peoples’ imaginations through a campaign to raise awareness of the benefits of creativity for mental wellbeing. This prospectus produced jointly by the Department of Health and Arts Council England celebrates and promotes the benefits of the arts in improving everyone’s wellbeing, health and healthcare, and its role in supporting those who work in and with the National Health Service. The prospectus shows that the arts can, and do, make a major contribution to key health and wider community issues. A new report, published by Arts for Health at Manchester Metropolitan University on Thursday 12 February 2015, reveals that engaging with the arts and culture generally has a positive long-term effect on health and wellbeing. An evaluator demonstrates ‘creativity’ every time they view an evaluation problem from a fresh perspective, or devises an evaluation approach tailored to a particular context. While creativity is very definitely not just the province of artists or the arts, there is a growing interest in the use of evaluation methods that use film and visual arts, poetry and creative writing, music, drama and performing arts. Arts-based methods can be particularly powerful in uncovering hidden perspectives and in empowering participants. They may also be less intrusive than more clinically-based evaluation tools as they can be inspired by and modeled on the intervention itself. They also involve a number of challenges. For example, the results you get from them (pictures, performances or poems for example) are by nature difficult to interpret and you may require technical skills that are not a part of standard evaluation. One of the first tasks of every arts and health project is to identify the outcomes and impacts it seeks to achieve. Without some kind of evaluation, we cannot know whether arts and health projects achieve their aims and it is difficult to learn about what went well and what needs to be improved in future practice. However, it is important that arts and health projects do not lose sight of their artistic aims during this process. The process of developing evaluation frameworks and strategies should be led by the core values of each organisation or project. Evaluation also needs to be informed by a theory of change, or the understanding of the physiological, psychological, emotional and social processes by which arts activities and interventions are thought to be linked with outputs and outcomes. Evaluation can seem like a minefield for practitioners and arts organisations, especially those at an early stage of development. The Wellbeing Index report, from Age UK and the University of Southampton, found that while many factors combine to create wellbeing, keeping engaged in social and cultural activities, being financially secure and taking exercise helps people feel good as they age. The large majority of Wolfson Foundation funding is allocated for capital infrastructure, which we define as new build, refurbishment or equipment. Almost all of its open programmes are solely for capital projects. It does, however, also have a number of carefully targeted programmes funding individuals through academic awards (such as Wolfson Research Professorships and Wolfson Merit Awards) as well as scholarship or bursary programmes. The Bernard Sunley Charitable Foundation (BSCF) was established in 1960 with the trustees aim to help raise the quality of life, particularly for those who are young, disadvantaged or elderly. Each year grants totaling about £2.5 million are made to a wide range of charities. The BSCF continues to be a family charitable foundation with the majority of trustees being family members, knowledgeable in their fields and dedicated to public service, supported by talented independent trustees. The Sobell Foundation was established by the late Sir Michael Sobell in 1977 for general charitable purposes and is a grant-making trust with which he was actively involved until shortly before his death in 1993. The deed of charitable trust, under which the Sobell Foundation was formed, is not specific about the objects of the Trust and allows the Trustees absolute discretion to apply funds for general charitable purposes. Grants tend to be made in line with the founder’s interests which are principally causes benefiting children, the sick, elderly, needy and disabled. The Trustees aim to achieve a reasonable spread between Jewish charities (operating principally in the U.K. and Israel) and non-Jewish charities operating in the UK. The Sainsbury Family Charitable Trusts is the operating office of 17 different independent grant-making trusts established by members of three generations of the Sainsbury family. It exists to provide economies of scale in the management of the trusts’ activities. It does not make grants; only the individual trusts do so. The trusts’ support for charitable causes over more than 50 years represents one of the leading examples of sustained philanthropy in Britain. In a society becoming more complex and diverse every day we see the growth of incomprehension, insularity, intolerance and exclusion. The Rayne Foundation helps and encourages inspiring individuals and organisations who can help build bridges within our complex world. It aims to enlarge sympathies through increasing tolerance and understanding, to reduce exclusion and conflict, to bring people together for the good of society, and ultimately to help create a more comprehending and cohesive world. Inspired by His Royal Highness The Prince of Wales’s values of harmony and sustainability, the Charitable Foundation aims to transform lives and build sustainable communities. This is achieved locally through supporting causes such as community projects, nationally through grants to charities such as Plantlife International, The Prince’s Trust, Soil Association and the Rare Breeds Survival Trust and globally through the Charitable Foundation’s International Sustainability Unit. The Foundation aims to be responsive to where need is greatest. It supports a wide range of charitable activity rather than having specific priorities for funding or regional bias. The Trustees support excellence and, rather than predetermining where funds should be given, prefer to respond on a flexible basis to organisations that can show that they are addressing a need and that their work is high quality. The Hospital Saturday Fund is a registered Charity whose aims are to provide assistance through its charitable funds for: Individuals with a medical condition or disability who would benefit from assistance with the purchase of specialised equipment or from practical forms of treatment Registered health charities such as hospitals, hospices, medical organisations who are in need of grants for medical projects, care, research or support of medical training within the United Kingdom and Republic of Ireland. Esmee Fairbairn fund across four main sectors – Arts, Children and Young People, Environment and Social Change – as well as through its Food funding strand. Across all its funding it aims to unlock and enable potential, back the unorthodox and unfashionable, build collective networks and catalyse system change. The Trustees of The Concertina Charitable Trust have granted funds to over 300 charitable organisations in England and Wales. The Prosper programme will be open to 70 organisations across England, funded by Arts Council England and delivered by Creative United, the Arts Marketing Association (AMA) and the Centre for Business in Society (CBiS at Coventry University). A timetable for applications and regional launch events will be announced early this year. The Wellcome Trust has unveiled a new programme of funding for engaging the public in conversations about health-related science and research. The new Public Engagement Fund replaces the Trust’s Society, People, Large Arts, Small Arts, Development, Co-production, Capital and International Engagement Awards. The Arts Council are currently involved in a crowd funding pilot, in collaboration with HLF and Nesta. It has invested £125,000 to help support individual artists with a proven track record looking to work in new ways, reach new audiences or develop their artistic practice. The artists create a fundraising project page on the Crowdfunder website, and once they reach 25% of their target (which must come from five unique backers) the funding is topped up by a further 25%. Artists must be looking to raise between £4,000 and £40,000.